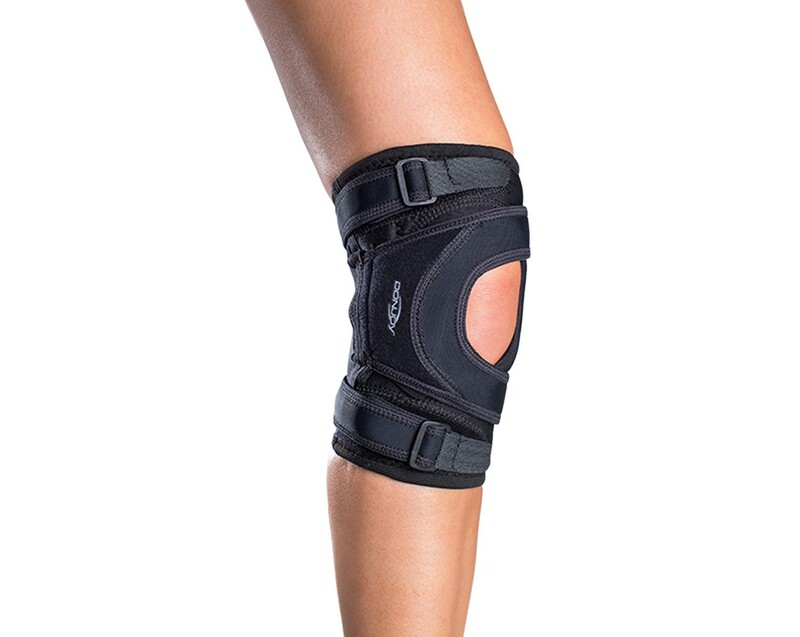 Low-profile and extremely comfortable for mild to moderate patellar dislocations. Is the Tru-Pull Lite for me? 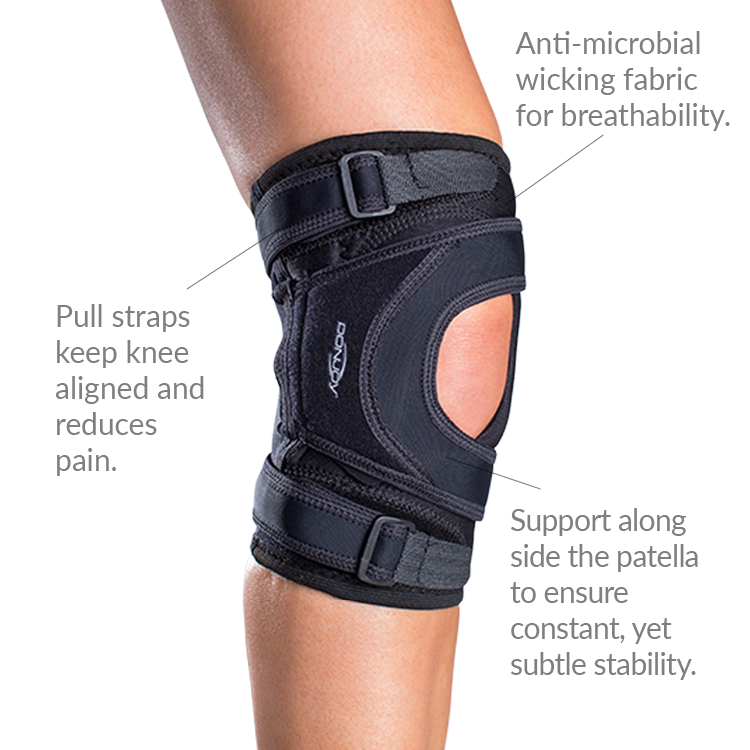 For mild to moderate patella instabilities, dislocations, or tracking issues. Ideal for runners, recreational athletes or those who need extra support during daily activities. Still not sure? Try our Brace Advisor for personalized product recommendations to meet your needs! Hi, i have just received my donjoy later j knee brace in the size M, but it's too tight on my knee but everywhere else it fits perfect. I have dislocated my knee 5 times, and want a brace to keep my knee in place for everyday use/less noticeable and the brace that i have at the moment is hard for me to put on as i just dislocated my knee 2 months ago and my knee is very swollen. Do you think i should get the donjoy tru pull brace or a bigger size in the donjoy lateral J knee brace? We understand it is a tight fit on the knee, however if you go up one size you'll decrease the support in this area which is your prime objective. Is the knee still swollen? and/or is the current brace stopping circulation to the knee, if yes treat with ice and try again please. betterbraces.co.uk has a 90 day return policy. There are no replacement straps, but the brace does have a 6 month warranty. Did you obtain this brace from us? If so, please email us @ returns@betterbraces.co.uk with your order number and I'll be happy to process the replacement. If you did not obtain this item through us and it is still under warranty, please return your item to the facility that provided it for a replacement. They should handle the exchange for you. This knee brace is amazing! I dislocated my knee two months ago and this brace is enough support where i feel protected, and not too much to where Im going overkill. I definitely suggest this brace!!!!!! !